Click on this image to launch an interactive map showcasing the project challenges and opportunities. The Moonee Ponds Creek is a unifying north-south spine linking several central city urban renewal precincts. It is an under-utilised biodiversity and community asset. Before European settlement, the Moonee Ponds Creek was a travel route and water and food source for Aboriginal people. After 1835, the creek was used as an industrial drain and transport corridor and as a result was highly polluted. 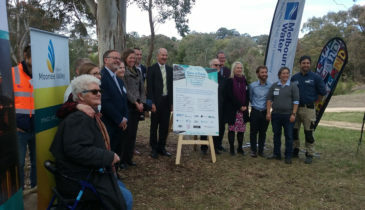 Since the 1980s local community groups, including the Friends of the Moonee Ponds Creek, have been working hard to protect the creek and today the creek is cleaner than in the past. Areas near the creek, including Arden, Macaulay and Docklands are now undergoing significant renewal, and a major freeway connecting CityLink to the West Gate Tunnel is being built above the creek. These projects present a significant opportunity to further revitalise the creek and its surrounds. What area of the Creek does this project focus on? The implementation plan focuses on the section of the Creek that extends from Mt Alexander Road south to the Yarra River. facilitate the commencement of ‘quick-win’ projects. What is the Moonee Ponds Creek Strategic Opportunities Plan? The draft Moonee Ponds Creek Strategic Opportunities Plan is an advocacy document created by the City of Melbourne that details the various initiatives for the creek that council would like to see realised. This is a draft plan that has been released for community consultation. It proposes a linear green corridor along the creek within the City of Melbourne area and identifies many projects to revegetate the creek. What is the Victorian Planning Authority’s role in this project? Once the City of Melbourne has collated all feedback on their advocacy document, the Victorian Planning Authority (VPA) will co-ordinate an implementation plan for the project area. The implementation plan will identify the projects that are most achievable in the short-term, supported by the City of Melbourne and endorsed by community members. The VPA will work with all stakeholders, including current landowners, government agencies and the City of Melbourne to form its advice to the Victorian Government. Will all projects identified by the City of Melbourne be delivered? The revitalisation of the Moonee Ponds Creek corridor is a long-term ambition that will likely take many years to complete, and not all projects will be delivered straight away. We are now identifying projects to start the project area’s revitalisation. When planning for the land surrounding the creek, it is important we balance both the ecological and social benefits of the area and the needs of the state-significant assets in the area that are essential to Victoria’s economy. Who owns and manages the creek? Various state government agencies and some private landowners own and manage parcels of the creek. Much of the land is leased from VicTrack to public transport providers and commercial operations, while the lower portion is owned by the Port of Melbourne Corporation. The creek itself is owned by Melbourne Water. They are responsible for managing and protecting this water resource on behalf of the community, including guaranteeing the supply of affordable, high-quality water, reliable sewerage, healthy waterways, integrated drainage and flood management. Councils, however, are responsible for local drainage. Within the City of Melbourne area, council manages most of the local flood mitigation connected to the creek, while Melbourne Water is responsible for whole-of-catchment water management and planning. VicTrack owns Victoria’s transport land, assets and infrastructure. VicTrack is the nominal landowner for large portions of land along the creek within the City of Melbourne, which is managed by other agencies, primarily for transport purposes. Port of Melbourne Corporation owns the titles to the land and creek area at the bottom of the creek. The commercial lease of the Port of Melbourne includes responsibility for managing that area. The City of Melbourne manages most of the local flood mitigation connected to the creek, while Melbourne Water is responsible for whole-of-catchment water management and planning. 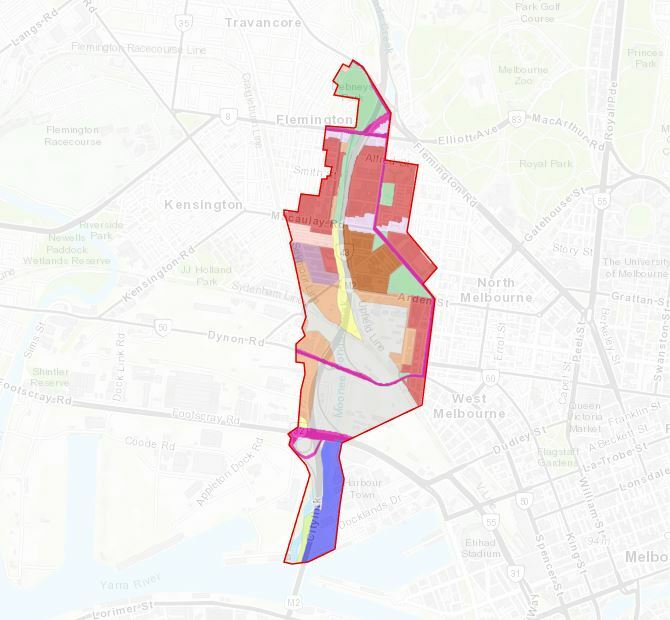 After all community feedback has been collated and analysed, council is expected to adopt the final Strategic Opportunities Plan and to use it to advocate for progressing the concept of the creek corridor as a linear green space. The VPA will then work in consultation with council to create and submit the Moonee Ponds Creek Implementation Plan to government. Share your views by Sunday 28 April, 2019. Alternatively, you can meet the project team in person by attending a pop-up engagement stations. Learn more by clicking on the ‘events’ tab. The City of Melbourne will collate your feedback and pass it on to the VPA, to help inform the VPA’s implementation plan. Friday 12 April 11am-1pm – Kensington Village, Corner Bellair and Macaulay Rd.